As part of Richmond Plunge Masters commitment to improving our swimmers, we offer swim clinics for all masters swimmers. Our Masters coaches teach monthly clinics on specific topics of interest to Masters swimmers. Additionally, we occasionally bring in special guest coaches for larger clinics. All participants must be active USMS members. Monthly clinics are $5 for RPM Members (Monthly/Quarterly/Annual) and $20 for other Masters (or RPM Drop-In) swimmers. March 15th – Members Only Video Clinic – For RPM Members only. Registration/Pricing details coming soon. 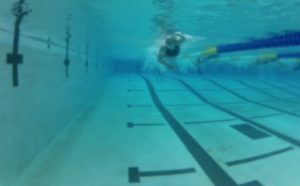 May TBD- Open Water with Suzie Dods – Registration/Pricing details coming soon.